On your trip to Lancaster, take some time to explore the culture of the large Amish population who call the area home. This beautiful countryside is often referred to as Amish country, and is filled with attractions, tours, and other experiences that allow you to observe the life of the Amish. Your family will find Amish Country simplistically exciting and culturally unique. From Lancaster, head out to Bird-In-Hand, Pennsylvania to experience Amish culture first hand with the Amish Experience Theater and Amish Homestead Tour. The tour lasts approximately forty-five minutes and takes you inside the home of an actual Amish family, where you can explore the simple lifestyle of the Amish up-close. This experience also provides you with access to the Amish Experience, a cultural center where you can explore exhibits and displays on the Amish culture. At this center, you can also enjoy an education movie entitled "Jacob's Choice" at the F/X Theater. Take a tour of the Amish countryside in authentic Amish fashion with Abe's Buggy Rides. You can choose from a twenty minute buggy ride up to an hour and fifteen minutes, taking you on a horse-drawn Amish buggy through the beautiful farm country for two to five miles. This buggy company has been family owned and operated for over forty years, and ensures a true Amish experience. The longer tours take you by an Amish schoolhouse, and allow for stops at an Amish country store where you can shop for great crafts and home-made treats to add to your experience. Prices start at $10 for adults and $5 for kids age three and older. 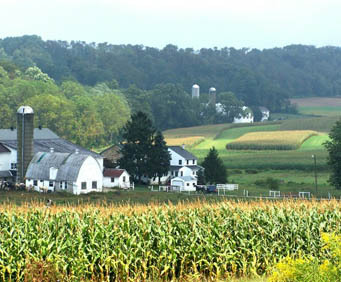 The Amish Country Tours gives your family an afternoon that is both education and interesting. This guided tour takes you to the Plain and Fancy Farm in the heart of Amish Country, where you can explore a farm first-hand to see how an Amish farm is run. You will also have time to visit the many Amish roadside stands, as well as crafts and quilt shops and a local bakery, where you can shop for home décor, treats, and more to take home with you. Advance reservations are suggested for this popular tour. These and other cultural experiences await you on your trip to Lancaster, giving you a unique look into the simpler life of the Amish.